Yesterday was hot in Perth. Really hot. Over 44C. Not very pleasant at all. 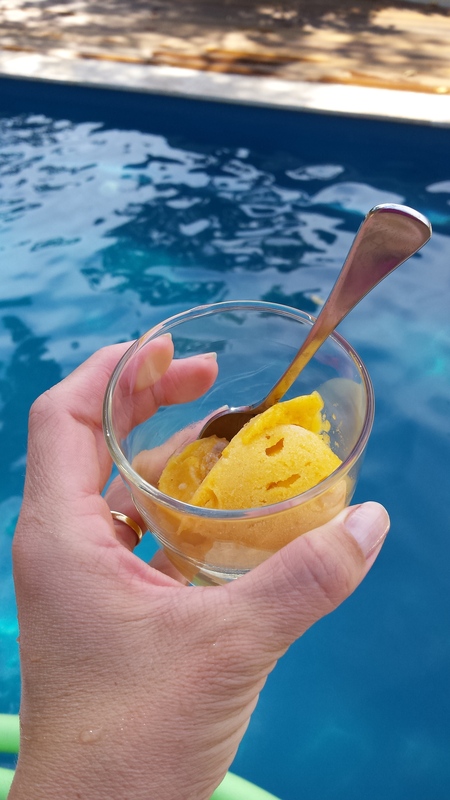 Thankfully, we were able to beat the heat because my very generous parents shared their delightful pool with us … and we took this sweet icy treat along. 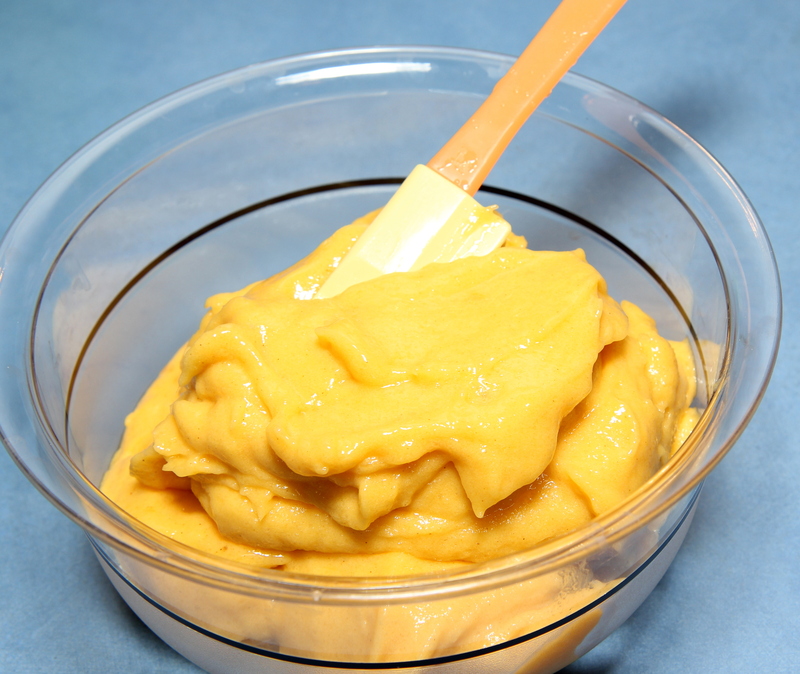 Allow mango to defrost for a few minutes, then add all ingredients into a high-powered processor or blender and blitz until well combined and creamy. Eat immediately if you want a soft serve type ice-cream or return to the freezer until it is hard enough to scoop. If you want to turn this into a sorbet, also add about 2 dozen ice cubes to the blender.